Today, I heard news that the Art Gallery of Grande Prairie has decided to show my work supported by the Alberta Foundation for the Arts. I am delighted! It likely will not be for two (maybe less) years. BUT! lots of excitement to look forward to! 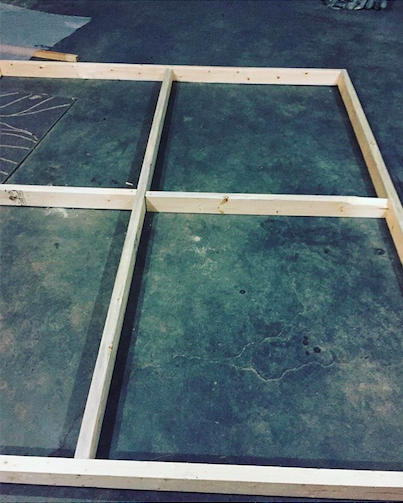 I am in the beginning stages of building a space as a venue for performance. I am very interested in creating domestic spaces as venues. Since my work revolves around a singular moment of awareness about what is decidedly beautiful or grotesque. I think it's also important to note the way we internalize those moments and become self-conscious in relation to the work. It is familiar in a sense that the work is fleshy, uncannily relatable to the human scale and perhaps magnifies the parts of ourselves that we try to hide most. My love for peculiar domestic spaces comes from the concept of the Uncanny Valley by Masahiro Mori. The Uncanny Valley is when there is a psychological reaction to something that is familiar but just not quite right. In Freuds essay The Uncanny, he described the quality of fear that arises when something that is very familiar becomes unfamiliar through a series of events such as repetition, disorientation, visual trickery or repression. Here are a few snapshots of the beginning stages of the space!